If you work at home, but don’t have your own space, or even if you don’t work at home, but end up working there anyway, then this is a fabulous idea for you. 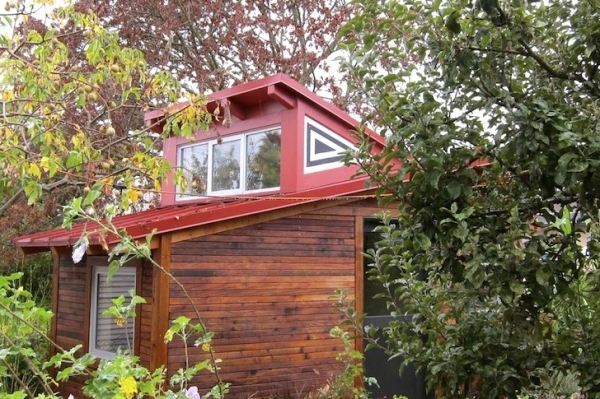 This 120 foot garden studio was created by Sarah Deeds and John McBride. 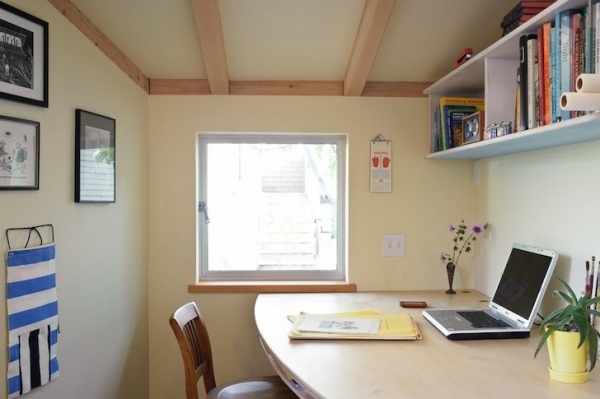 It is the perfect space to get some work done outside the confines of your home, and it’s eco-friendly. It was built using Redwood tree, formaldehyde-free fiberglass, denim insulation, and no VOC paints, finishes, and stains, creating a wonderful workspace with a reduced carbon footprint. This garden studio is positively gorgeous with its beautiful wood and red roof, fashioning a wonderful cabin look. Three windows allow natural light into the space and provide ventilation. We love the geometric design in the roof, it’s a fantastic touch. The stone and brick create an intricate and fascinating design, contributing to the alluring and charming exterior of the studio. Potted plants and luscious greenery surround the building, creating a picturesque scene. We definitely wouldn’t mind stepping out for some air in this space. 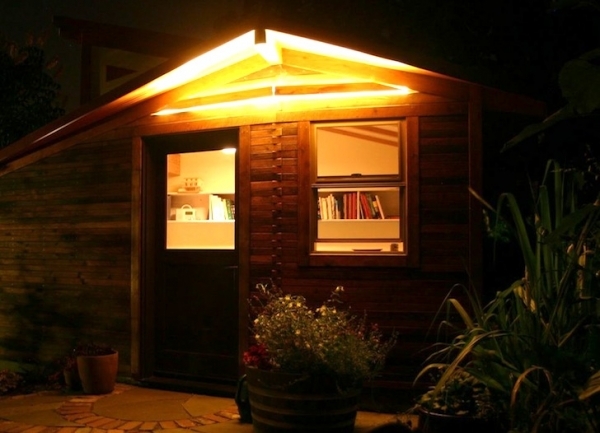 The lighting on the exterior of the home is absolutely fabulous, providing a guide to the workspace during the night hours. 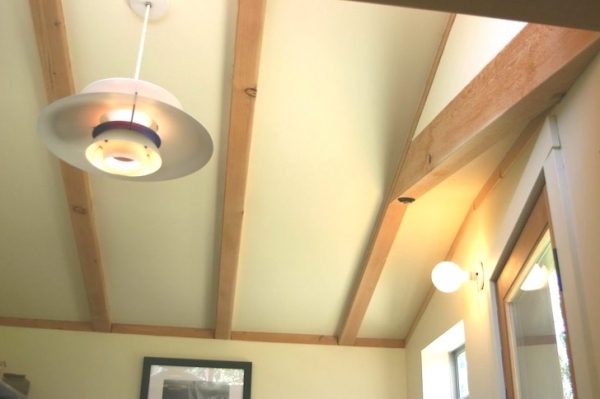 Inside of this garden studio, fantastic wood beams fill the space. We love the sleek and warm lighting, adding a cozy but focused and simple aspect to this lovely design. A square window provides natural light, and a curved desk maximizes and adds interest to the space. Fabulous artwork adorns the wall, providing a bit of decoration. On the other side, white shelving provides storage. Flowers and a plant, cheer up the space, bringing some of the outside, inside. 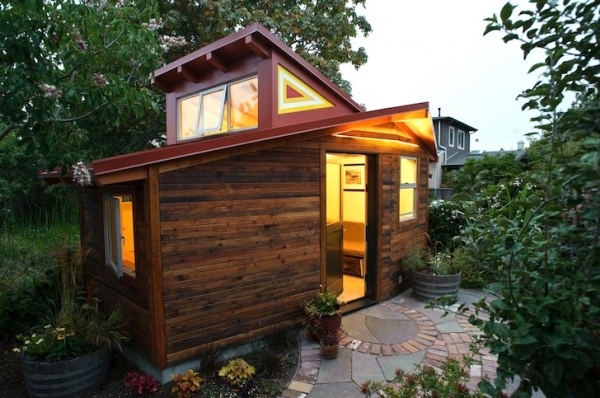 Who wouldn’t love going to work in this cozy little garden studio? 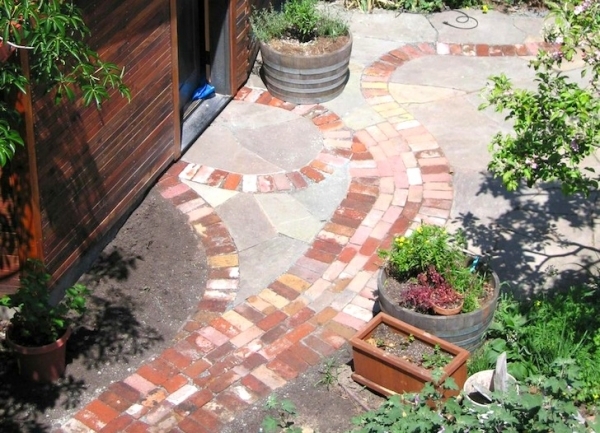 Fantastic nature, a beautiful and simple design, and a distraction free environment: absolutely perfect.